Apple on Wednesday unveiled three new iPhones at an event held in the Steve Jobs Theatre on its Cupertino, California, campus. 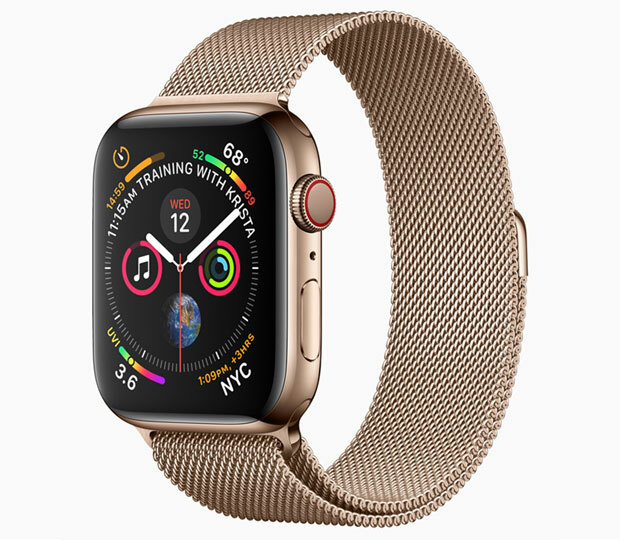 Along with the iPhone Xs, iPhone Xs Max and iPhone XR, Apple introduced the Apple Watch 4. All three new X series iPhones come with 64 GB, 256 GB or 512 GB of storage. The XR starts at US$750, the Xs at $1,000, and the Xs Max at $1,100. The XR can be preordered starting Oct. 19, and it will begin shipping on Oct. 26. The Xs and Xs Max can be preordered starting Friday and will begin shipping Sept. 21. Screens in all the new iPhones extend top to bottom and edge to edge, allowing Apple to use a smaller form factor. The screens are rounded at the edges. All three have cases that are water and dust resistant, to IP 68 for the Xs and Xs Max, and IP 67 for the XR. All three have 12-MP rear cameras with portrait mode, depth control, portrait lighting, Smart HDR, adjustable bokeh, and 4K video up to 60fps. The Xs and Xs Max have two of these cameras, and the XR has one. All three also have a 7-MP TrueDepth front camera with the same features as the rear cameras except for video capability. “You’re going to be blown away with the photos you can take with the iPhone Xs camera,” Schiller said. The Xs and Xs Max have one 12-MP wide-angle camera and one 12-MP telephoto camera in the rear, both with optics image stabilization. The phones run on a 7nm A12 Bionic System on a Chip, with next-generation neural engine dedicated neural network hardware. The SoC’s image signal processor, working in conjunction with the CPU, automatically sets exposure, white balance, focus, and other photographic features. The Smart HDR feature takes a four-frame buffer for each shot and merges them into one perfect photo. It also lets users shoot photos while facing the sun. “The HDR screen is key,” said Gerritt Schneeman, senior research analyst at IHS Markit. It’s a “premium feature [that] plays into a key aspect of Apple’s existing UX focus — camera experience,” he told TechNewsWorld. The new cameras’ sound capabilities also drew praise. “We can use stereo rewinding on the iPhone,” noted Todd Howard, game director at Bethesda Game Studios, when demonstrating Blades, the new Elder Scrolls game coming to iOS this fall. “This experience used to be available only on consoles in the living room,” he said. The stereo audio recording offered in the new iPhones “enhances existing content and is clearly different than before,” observed Schneeman. The new iPhones have a longer battery life than their predecessors, and have a dual SIM card capability, using eSIM. “The dual SIM capability is a smart move and needs to be done,” said Ramon Llamas, a research director at IDC. “They’re responding to the Chinese market and the needs of the enterprise market here in the United States,” he told TechNewsWorld. The bionic SoC runs Core ML apps up to nine times faster, with one-tenth the power consumption, said Kaiann Drance, senior director of iPhone product marketing. It also enables augmented reality experiences, she noted. Apple’s developer system has been building AR apps with ARKit 2 and iOS 12. 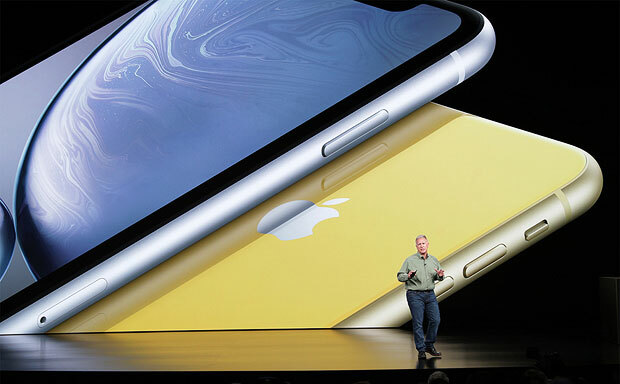 “The newest iPhones are iterative upgrades, and in the case of the XR, an upgrade/downgrade over the iPhone X,” said Ken Hyers, research director at Strategy Analytics. 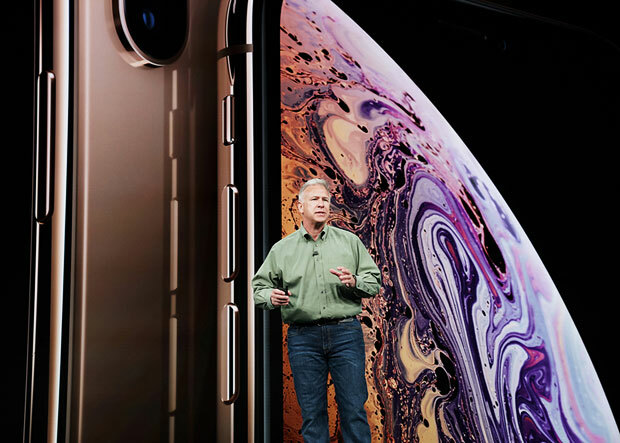 Apple SVP Phil Schiller reveals the iPhone XR, which features an all-screen glass and aluminum design in six new color finishes. None of the upgrades “are earth-shattering improvements, but for someone with an iPhone 7 Plus or 8 Plus who’s looking to move on after a year or two, these improvements may be enough to get them into the store and part with the better part of a thousand dollars — or more,” Hyers told TechNewsWorld. However, the differentiation among the three new models is unclear, he pointed out.